The SM correlation, derived from the Strehler-Mildvan general theory of aging and mortality, is a mechanism-based explanation of Gompertz law. 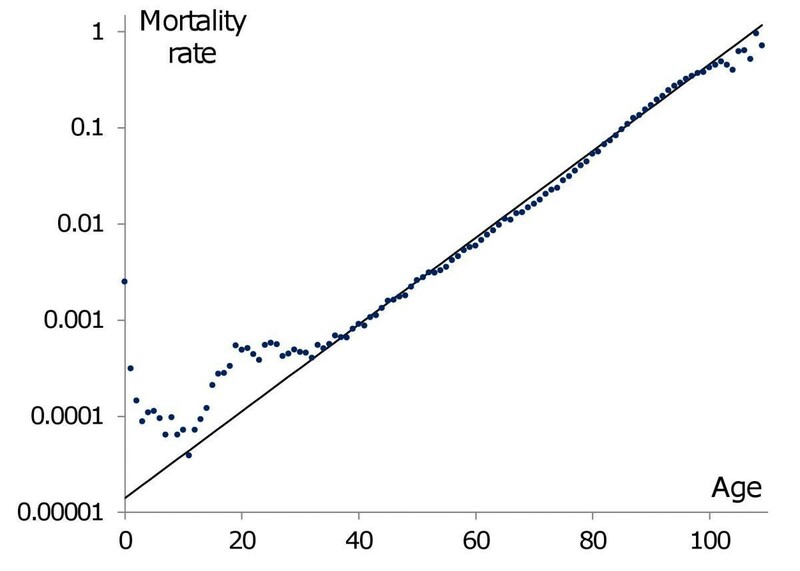 Specifically, the SM correlation uses two Gompertz coefficients called the Mortality Rate Doubling Time (MRDT) and Initial Mortality Rate (IMR). Popularized in the 1960s in a paper published in Science , the SM correlation suggests that reducing mortality rate through any intervention at a young age could lower the MRDT, thus accelerating aging. As such, the hypothesis disrupts the development of any anti-aging therapy, effectively making optimal aging treatments impossible.